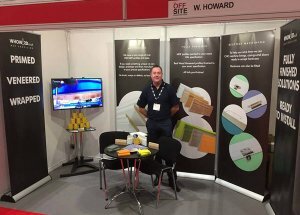 Offsite, prefabricated, modular... call it what you will, but it's a rapidly growing industry in the construction world and W.Howard is involved! Individual modules made in factories can be built to a much higher quality and allow for exact duplicates to be quickly produced. These modules can then be delivered and installed on site, linking together with other modules to quickly create a complete building, be it a block of flats, a series of houses or a school. The benefits of offsite construction are speed, efficiency, quality and of course, saving costs. We can also fit door furniture.